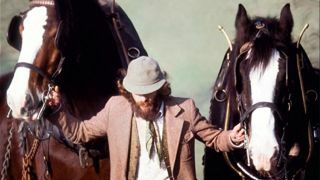 Jethro Tull’s 1978 album Heavy Horses is to be reissued next year to mark its 40th anniversary. It’s was originally scheduled to arrive on February 9, but has now been pushed back to March 2, and will launch as Heavy Horses New Shoes Edition on 3CD/2DVD via Parlophone Records. The reissue will include the original album with nine additional bonus tracks – seven of which are previously unreleased – along with a live concert recorded in Berne, Switzerland, in May 1978. The two DVDs feature the original album, bonus and live tracks all mixed to surround sound by Steven Wilson and Jakko Jakszyk. A 96-page booklet will also be included, documenting the history of the album and tour, along with lyrics, rare photos and exclusive interviews. Subscribe to Classic Rock and save up to 35% this Christmas! Mixed 5.1 DTS & DD surround sound and 96⁄24 LPCM stereo.